Organizing a successful event is a challenging task. If you have taken up the mammoth responsibility or have to do it for being associated with an event company, you should have a couple of effective tips before you start working on the project. Starting from selecting the venue for developing the websites and choosing the best company for the custom online event ticket printing services etc. you have to undergo tons of tasks. In the first place, you should chalk out the complete plan of the event and approve it if you are working on anyone’s behalf. If they agree with the blueprint then on the next step, you have to make another plan for executing the event per planned. If you’re expecting the appearance of any celebrity, make sure you’re appointing an expert for the state-of-art celebrity management which is extremely necessary or a flawless event. 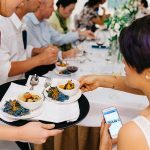 Popular event management companies hire onboard similar professionals for managing the celebrity management besides taking care of other works associated with the event. Do your best to maintain transparency with your audience. Clearly mention about the event details on the posters and banners that you print. Make sure, you have collaborated with a renowned printing company ensuring high-quality printing solutions so that they can provide you with the finest quality printed banners and posters that will help in driving more audiences for the event. Also, circulate flyers for building a direct link with audiences instantly. Avail the digital marketing platform for publicity and promoting the event. Start with creating a website and let the professionals optimize it with high-end SEO, SMO, PPC campaigns. The social media optimization will also help you connect with more audience. Select and hire the venue where the event is going to happen. Make sure you have arranged the stage, AV systems, tickets and other allocations required for the event. Along with printed tickets, open provisions for online ticket booking also that pulls more crowd as today’s generation don’t find it ok to stay in the queue for hours to buy tickets. Budget is the greatest devil. So always consider that before arranging an event. If you have a proper strategy, the budget will surely be maintained.